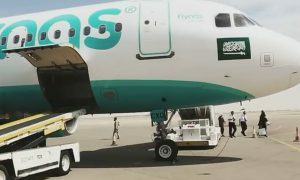 Saudi Arabian national carrier flynas announced the launch of flights from Riyadh and Jeddah to Bahrain, its third destination within the GCC following the United Arab Emirates and Kuwait. 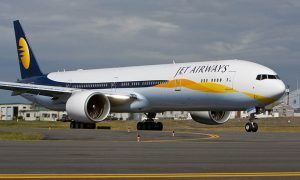 The service will consist of three flights per week from Jeddah to Bahrain and three flights per week from Riyadh to Bahrain. Six million Saudis traveled to Bahrain in 2014, an increase of 19.3% compared to the previous year, making them by far the largest contingent of visitors from a total of 6.6 million GCC travelers to Bahrain. The significant increase acts as a strong testament to the growing business and leisure travel between the two countries, spurred by Bahrain’s business-friendly climate as well as its appeal as a weekend leisure destination for Saudi families. 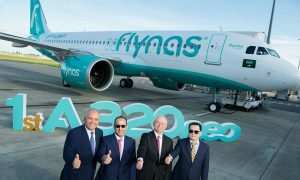 “flynas is continually expanding its services to include new regional destinations and we are delighted to add Bahrain to our GCC route network. Bahrain continues to remain one of the most popular business and leisure choices for residents of Saudi Arabia and flynas will add both capacity and choice for frequent commuters between these two countries”.